The 5th Class examinations were held in February and now the process of finalizing the results is under way. Punjab Examination Commission bears the responsibility of organizing, starting and managing the 5th class exams. This year BISE Bahawalpur Board 5th Class Result 2019 will be announced on March 31st 2019 for the students of Bahawalpur and other districts managed by Bahawalpur Board. To be updated about latest developments on the results keep visiting our site. Bahawalpur board assists Punjab Examination Commission in the conduction of annual examination in Bahawalpur and some other districts. All boards affiliated with PEC does this for making it a better and fair examination system. Bahawalpur Board oversees the 5th class examinations of District Bahawalnagar and District Rahim Yar Khan. Students who took the exams must be extremely worried about their results and their 5th Class Result 2019 will be announced on 31st of March 2019. The results come in the last of March every year and this year they will come out in March as written before. You don’t have to wait long because the results will be here sooner than you know. You can search for your result on BeEducated.PK by providing your Roll Number on our result page. 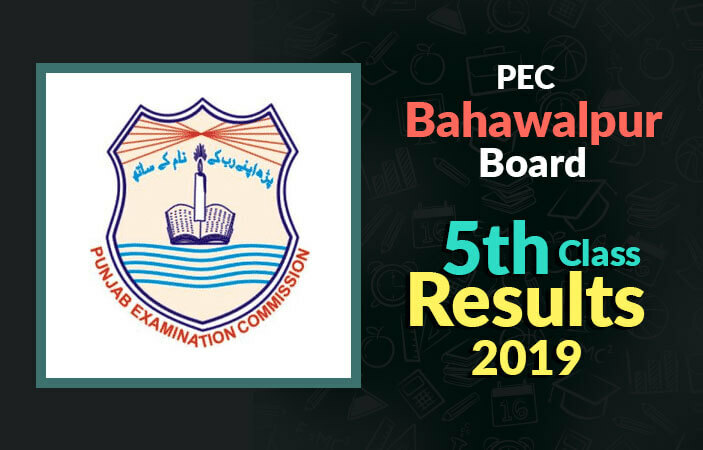 We will be putting up the 5th Class Bise Bahawalpur Board Result 2019 on our site as soon as the PEC announces the results on March 31st. It will be uploaded at 10 AM in the morning. So visit our site frequently to stay updated on latest news about your result, and many other things that we provide on this site like Old results, News and Articles.